This is where it all starts. None of our products and features would be as cutting edge and high tech if it wasn’t for LEDs the source of light for all of our designs. Here at Custom Fibre Optics we are big fans of LED lighting as well as fibre optics but both have their own pros and cons and advantages over one another in certain circumstances. Fibre optic lighting is generally used as accent lighting in low light environments, whereas LEDs can be used in any environment, they can still be seen in bright daylight and can also be enough to light a room up at night, whether that’s in the form of LED downlights or our favourite, hidden LED strip lights. We can provide you with everything you need to light up your next project, from the initial idea to the design, supply and installation. Apart from that, we have a team of creative and enthusiastic experts who love to create high end, modern, installations so if your stuck for ideas or just want some suggestions then drop us a line, we’d be happy to be part of creating your next lighting idea into a reality. We’ve done a variety of installation work such as up-lighting ceilings in salons, coffered ceilings in living rooms and home cinemas, state of the art programmable DMX RGB downlights, cabinet lighting in kitchens and bathrooms, landscape lighting and a wide variety of LED panels. Apart from manufacturing and installing high end led lighting features and decorative panels, we also offer a custom led design service. Let us take care of the technical details, just give us some information on your project and we can suggest the most practical options and the safest, most economical ways of completing your led project. We can put together all of the components and information and supply you with everything you need as well as wiring diagrams if needed. 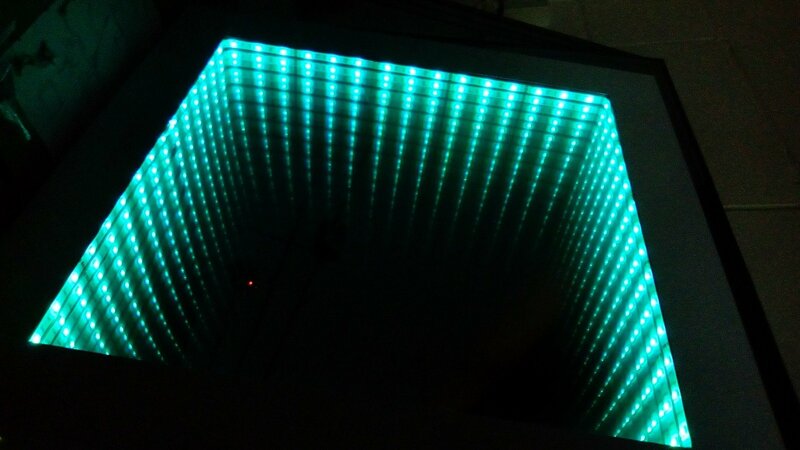 Many people, mainly DIYers, believe because LED panel lights are so efficient, cool to run and low power consuming, that they are easily and safely wired without doing much planning and designing. This is not true. LEDs commonly used are 12-24v, they actually run at a much higher current than a standard UK 230v supply. This means great care should be taken to decide size and type of cable used to reduce the risk of electric shock, fire and damage to equipment. Some smaller cables can easily be overloaded by the high current drawn from the LEDs. The LEDs themselves can also easily be overloaded or underpowered. A well thought out wiring system is needed for an LED system to avoid overloading the LEDs, power supplies and colour controllers as well as minimising voltage drop within the system which causes the brightness to fade. At Custom Fibre Optics we ensure your project is lit up as it should be with the best materials possible, a well-designed wiring system which will work effectively, efficiently, last a long time and most importantly, be safe and sound. Can you really afford to buy inferior products that will end up with expensive replacements and/or repairs over their lifespan? As an added time saver we can also supply you LED strips cut to size with soldered fly leads attached to minimise the time and effort in your installation. Just drop us a line, we’re always happy to hear about different projects, big or small. Our LED panels are a great way to add an attractive feature to your project. Using a CNC machine we can cut precision shapes and patterns from a wide selection of materials. Why not promote your company logo, your favourite quote, or just find a pattern or shape you think would compliment your kitchen/living room. Available in a massive range of colours and finishes, we can create a panel to fit any scene. 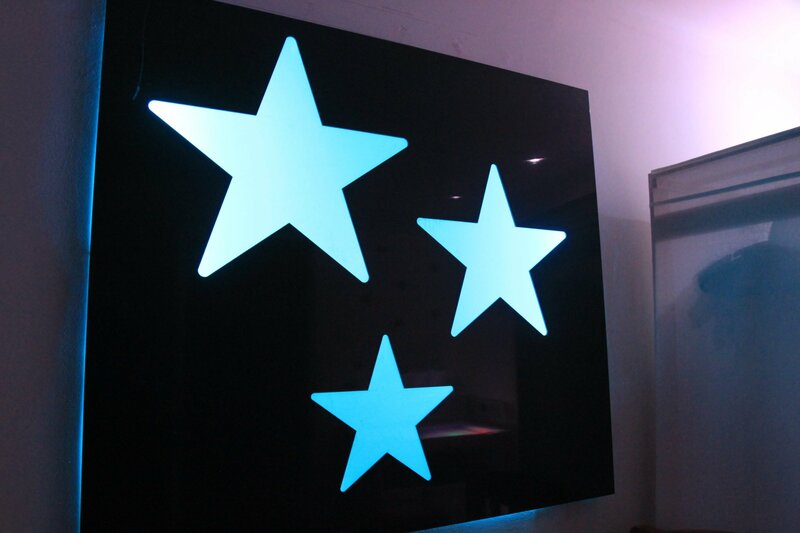 Use our LED panels as shop signs, kitchen splashbacks, a night-light for a child’s room, sensory rooms, wall art or whatever your imagination can create, we can produce it. 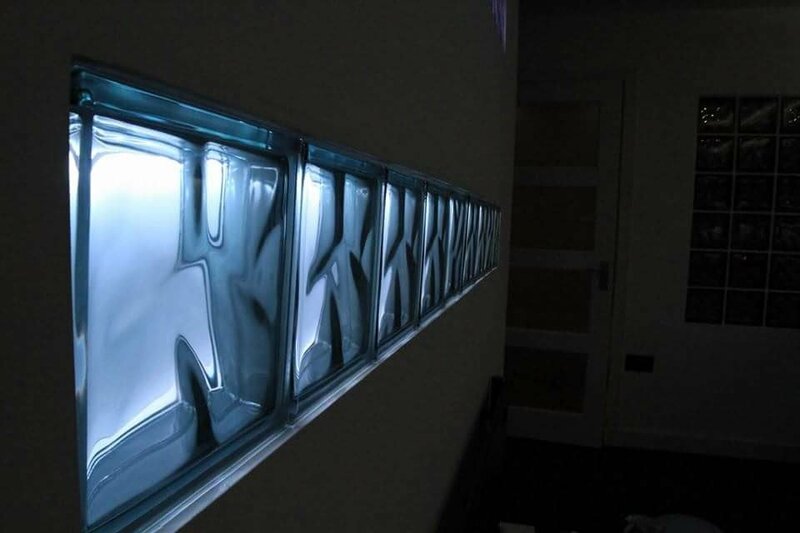 LED panels can be cut with any pattern, shape or text cut out, which would then be replaced with spectrum acrylic, which is designed to light up with an even glow. 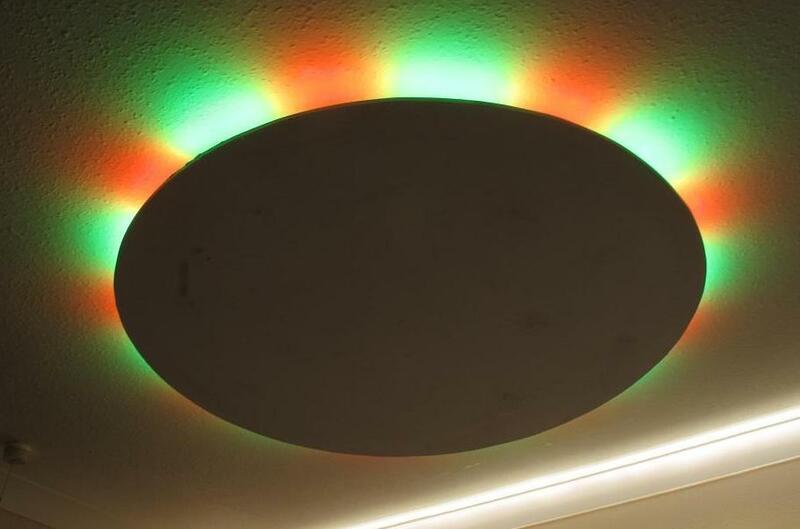 We use RGB colour changing LED tape in our panels supplied with a remote. They can be turned on or off and also have colour control. Here we have the latest in led technology, Serial peripheral index LED strip lighting, installed and hidden behind our panels to create a stunning ambient glow with a choice of millions of different colours, scenes and chasing effects. You have another option we can add too which is sound activated, so the lights will dance around to the melody and beats of your music. The controller has a built-in microphone and also a line-in mic slot for perfectly synchronised display. This latest feature works well in a number of different settings such as in a kitchen or bathroom, children’s bedrooms and most of all clubs and bars. The controller is programmed to suit and because we can do that for you, you could have it set to any colour patterns of your choice. 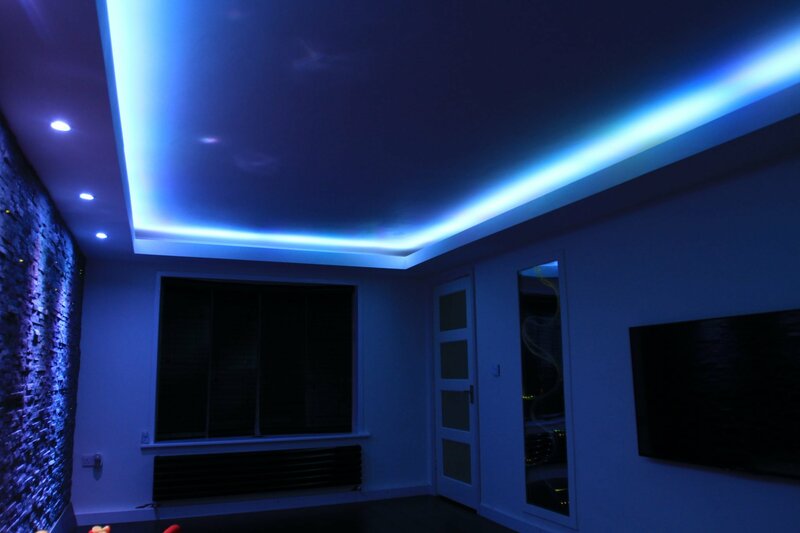 If it’s children’s bedroom, they may well be happy with vibrant colours which flash and strobe to pop music, if they were installed in a spa or restaurant then slowly changing, soft pastel colours may be chosen or if you chose these led strips for a night club, for example, you could have them installed so they have a VU meter effect, which follows the beat of music and volume with amazing precision. Here is an example of a simple acrylic disc shape, perfect for a bedroom, kitchen, games room etc. We can pre wire all components and simply supply our panels on a plug head ready to plug into a socket outlet. Or if you would prefer to hard wire our panels into existing circuits we can supply everything you need separately for your electrician to wire up the components on site. All that is needed is a 12v transformer which then powers a RGB controller, which feeds the LED lights, all of which are included.